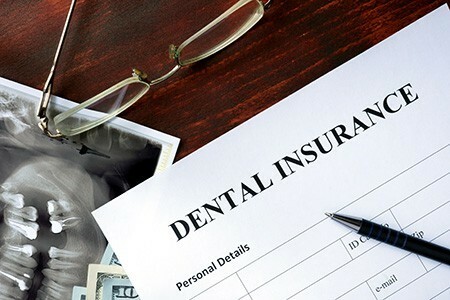 Whether your dental insurance is provided by an employer or purchased privately, the process of choosing a plan can be complicated and confusing. Here are a few common questions about the basics of dental insurance benefits. Do I need dental benefits? Not necessarily. Depending on the level of care you require, it may be more cost-effective to pay directly for your dental care instead of paying for a benefit plan. However, if you regularly require additional dental work beyond standard preventive procedures like cleanings, examinations, X-rays and fluoride treatments, buying benefits may be a smarter choice. Also, take into consideration the annual maximum dollar amount covered by the insurance plan. If it is fairly low, as many are, insurance may not be too helpful if you need significant dental work. The level of coverage varies significantly by dental plan, so it’s a good idea to be familiar with the specifics of your plan before signing up. Many plans require benefit holders to share the costs of dental care through coinsurance or deductibles. Some preexisting conditions may not be covered at all. It’s also important to note that many dental plans include a one-year waiting period before certain procedures – like crowns, bridges or dentures – will be covered. The specifics should be explained in your enrollment materials, but don’t hesitate to call your insurer with any questions. How should I choose a dental plan? Will the plan allow me to see my preferred dentist and any specialists I might need? What are the total and corresponding costs for the plan, including the insurance premium and including coinsurance, copayments and the deductible? Is there an annual maximum and an out-of-pocket limit? Does the plan cover oral surgery, root canals, crowns or braces? What about implants, dentures and bridges? Is there a waiting period? If you need help answering some of the above questions and determining which dental plan is right for you, get in touch. At Glen Oaks Dental, we are committed to providing the best comprehensive dental care and treatment. We will work with you to develop a plan that will help you achieve the best possible results. To schedule a comprehensive examination or ask about a specific concern, give us a call at 763-786-8460 or use our simple online scheduling tool.